When it comes to cooking lamb, the level of ‘doneness’ can be a matter of personal preference. But cooking it correctly can transform an already delicious cut into something amazing. Whether you prefer your lamb to be lightly blushing or well done all the way through, learning to tell if it is cooked correctly (without cutting into it) will preserve the flavours and leave you with a juicier and more flavourful bite when it comes time to serve. 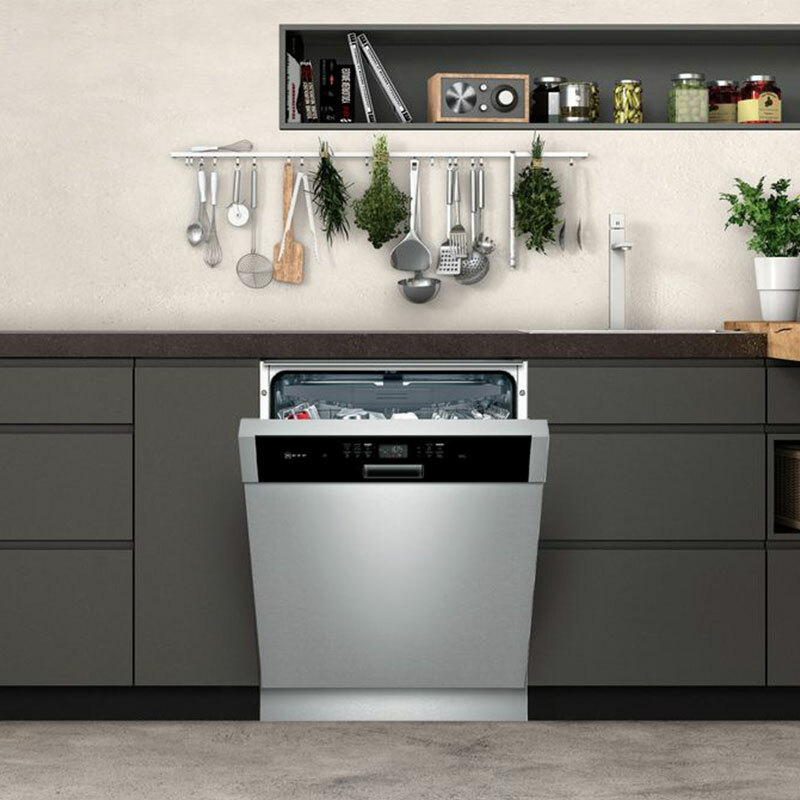 Cooking your lamb correctly may seem complicated from the outset, but with the help of the NEFF MultiPoint MeatProbe and a few nifty tips, you’ll become a master of this meat in no time. One of the cardinal sins of cooking lamb is throwing it straight from the fridge into the oven. When you put cold meat straight into heat you get uneven cooking. Why? Because the oven is trying to warm it up before it can begin cooking, usually leaving you with uneven insides and outsides. To remedy this problem, be sure to let your meat come to room temperature before you start cooking. Depending on the size of your cut, this should take roughly one hour – up to two for bulkier cuts. Do your research into the type of cut you’re cooking and plan your marinade accordingly – more tender cuts of lamb (such as the leg) are better served with a dry rub, as the acids in some marinades can destroy the integrity of the meat. Be sure to also follow the recipe instructions when using a marinade – you don’t want to leave it on too long or it could make it a bit tough. If there’s one thing we’ve learnt about cooking lamb, it’s this: always use a thermometer to make sure you’re cooking it perfectly. When cooking lamb to medium-rare (just a hint of pink on the inside) you want the internal temperature of the meat to get to between 60-65°C. 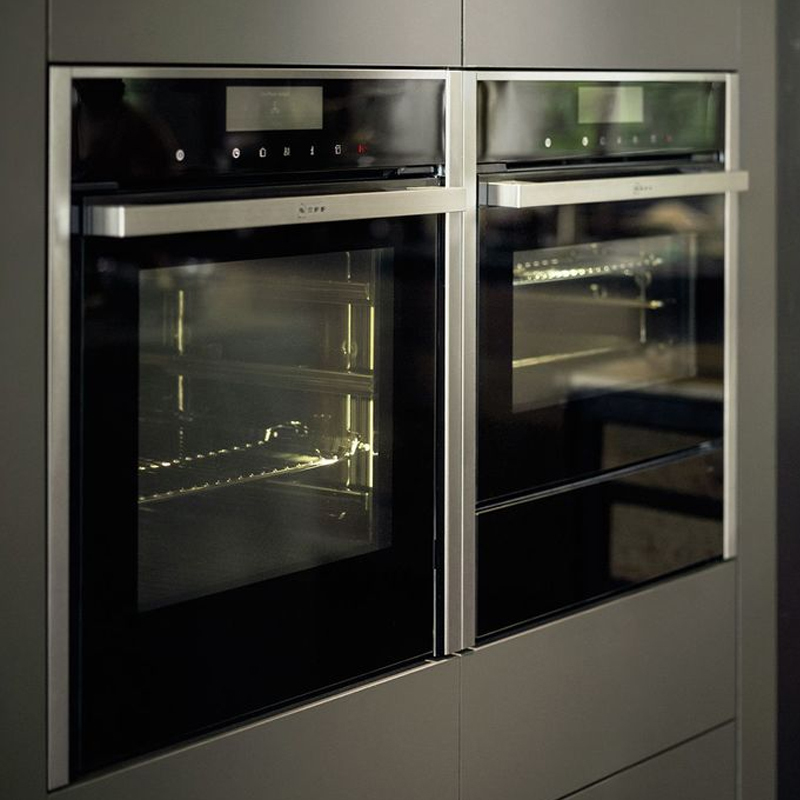 Another important tip is not to continuously open and close your oven as this can affect the cooking temperature. So how do you balance those two warring needs? 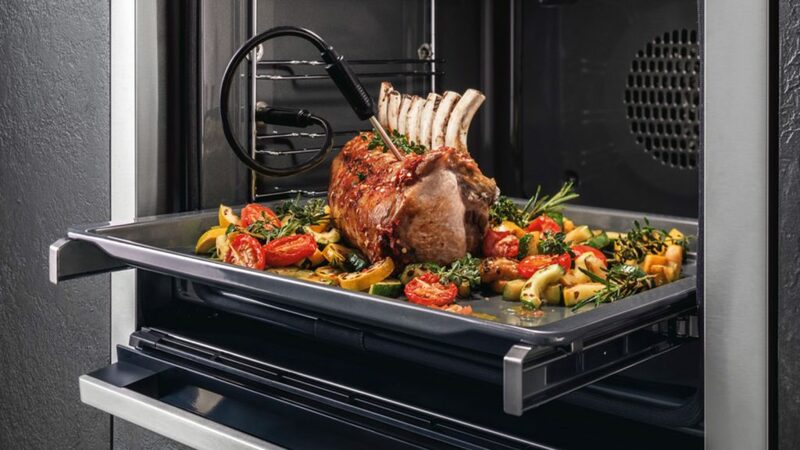 Once your probe is inserted into your lamb, simply set your desired internal temperature and the probe will monitor the progress, automatically turning the oven off when the desired temperature is reached. While it is tempting to get that lamb straight from the oven and onto your plate, you’ll be doing yourself a real disservice. Always be sure to let your lamb rest for at least 10 – 15 minutes under some tented foil to allow the meat’s juices to redistribute for a more tender bite. Finally, always be sure to carve your lamb across the grain so you’re not left with tough slices that are hard to chew. If you follow these steps your lamb will always be cooked perfectly, no matter which cut you’re using. 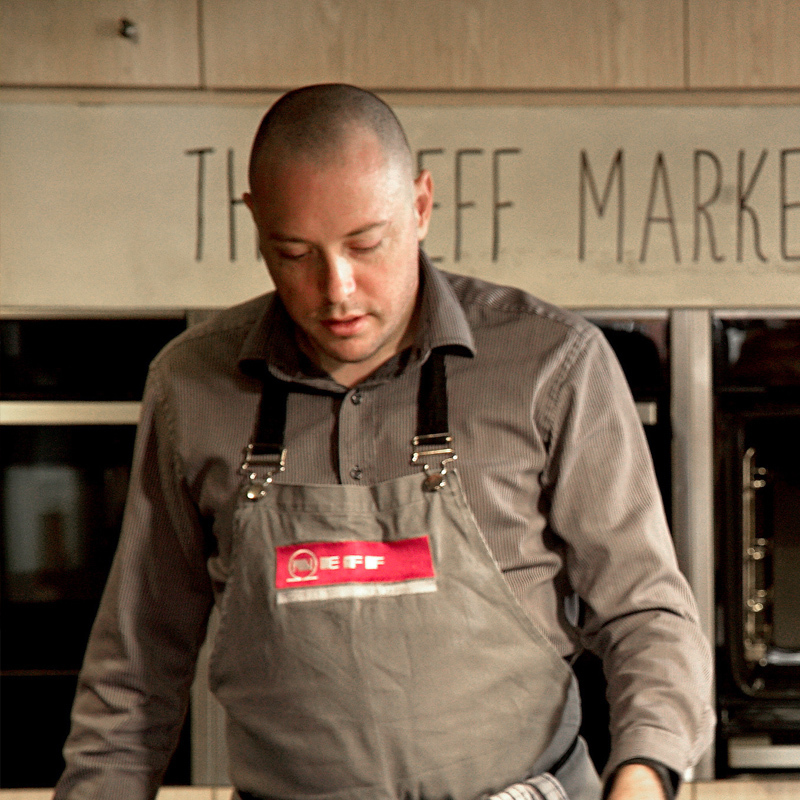 For more information on NEFF ovens with the MultiPoint MeatProbe visit neff.com.au.